Whatever your reason – there are many things to consider before buying a horse. Horses are a huge responsibility. And, tragically, many horses live lives of desperate boredom, or are passed from owner to owner because their owners weren’t prepared. 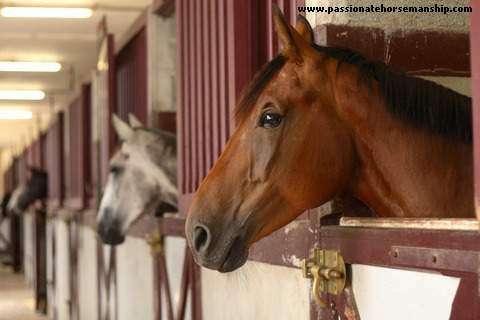 Did you know that 80% of first time horse owners sell their horse within two years or less? They become overwhelmed, frightened or unprepared for what happens or do not know how to work with their horse safely! Don’t buy the first or cheapest horse you find that can be a huge mistake. 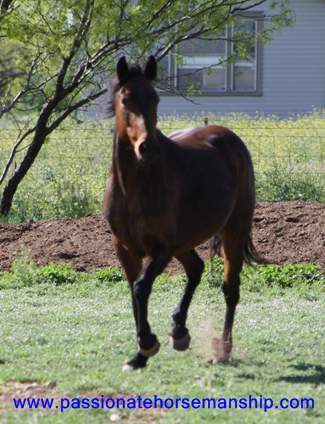 Beware of cheap or free horses as this may mean that they have behavior or health problems. Several years ago a friend of mine purchased a beautiful miniature horse stallion for $200.00, she was so happy to get such a good bargain or so she thought. This little stallion had been running in the pasture for 3 years with a couple of other horses and had not been handled much. A couple of days after getting him home he started charging her with his teeth bared, rearing up striking at her and trying kick her. She was totally unprepared for these types of dangerous behaviors. Thank goodness this was not a big horse as she could have been seriously hurt. Now don’t get me wrong as miniature horses can hurt you too. My friend had to send her miniature horse to a trainer because she had no clue how to stop him from all of the bad behavior issues he was showing. The moral of the story is that she did not get a cheap horse he cost her over $2,000.00 before she could work with him. Another person may have simply given this horse away or abandoned him, but for him he was lucky she stuck it out most of the time it doesn’t turn out like this one did. Are you prepared to buy a horse? At the very least your horse will need hay anywhere between 8 – 12 bales each month. Hay can cost from $8.00 to $24.00 a bale depending on where you live. Hay alone does not cover all of a horse’s nutritional needs. Horses also need to be on a good vitamin and mineral program because it will make a horses digestive system work more efficiently saving you money in the long run. Failing to plan for the cost of properly feeding and caring for your horse can result in a waste of money! How much time do you have to spend with your horse? If keeping the horse on your property you’ll need time each morning to feed and water your horse. In the evening you will need a couple of hours to feed, water, clean the stall and exercise your horse. Yes your horse needs exercise everyday it’s not fair to leave them in a stall. Horses are designed to walk several miles a day so it’s very important to plan exercise into the daily program. Horses have to be fed at least twice a day – everyday, hot or cold, rain or shine, even when you are sick. Are you ready for that time commitment? When you go on vacation, who will take care of your horse? Buying your horse isn’t your only out of pocket expense. At the very least, you will need a saddle, saddle pad, bridle, brushes, buckets, halter, and a lead rope. Be prepared to spend a few hundred dollars to get started with good (not cheap) basic equipment. Do you have the finances to support your horse if they get sick or injured? Veterinarian costs can range from hundreds to thousands of dollars. Is there a veterinarian in your area that treats horses? Do you have a way to transport your horse to the vet? Do you have a safe place to keep a horse on your property? Do you have the time to do all of the care yourself? If your answer is no to either question, boarding may be the right decision for you. offer? Get a copy of the facilities boarding contract to make sure of what they truly provide. Pasture Board – how often are the horses checked? Stall with Turnout? How much time does your horse get in turnout? Stall only – will your horse thrive in a small pen or stall? Talk to the boarders to see why they chose that facility. Are their horses happy? Does the facility feed the horses in a timely manner? Do other people boarding there share in the style of riding that you prefer? Sharing your horse time with friends with similar interests can make things much more rewarding. It may seem overwhelming to look at all these factors when the decision to buy a horse is really about wanting a heart connection with an equine partner. However, taking all of these into account can save a horse from being improperly cared for, or you from overloading your life. A life in balance – emotionally, financially and physically is what it is all about – for you and your horse! If you want to save time, money and heartaches when looking for a horse then let me help. It doesn’t matter if you’re just buying your first horse or you’re returning to horses after being away from them for years. Contact me for a no-obligation phone consultation where you can explain your needs and goals, and we’ll determine the best way to proceed. I wrote this article for the online magazine “The Intentional Horse” be sure to check out the magazine they have some other great articles.